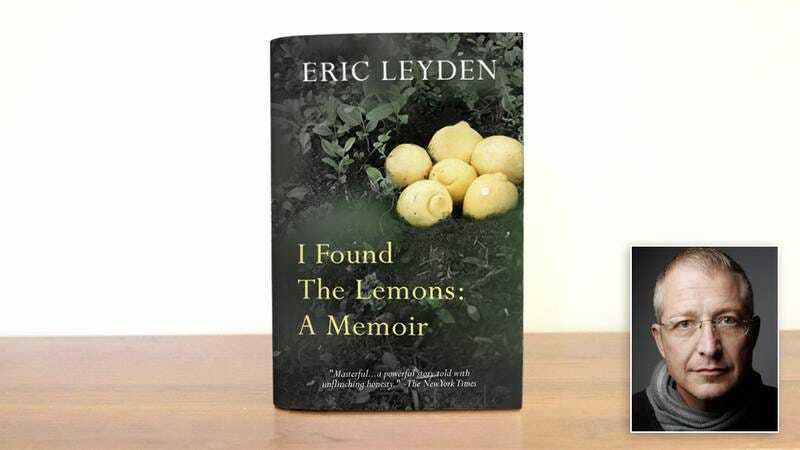 Odds are that by now you’ve heard of Eric Leyden and his incredible story about finding six lemons in a hole. His book, I Found The Lemons: A Memoir, received universal acclaim and topped bestseller lists for months after its release—until now. After fending off mounting accusations alleging that he fabricated details of his story, Eric has finally admitted to putting the lemons in the hole himself. What began as a powerful tale of coming across a hole containing six lemons has quickly become the story of a writer’s brazen deceit. As the memoir became a national sensation, keen readers began picking up on inconsistencies in Eric’s story. One glaring example involves a chapter titled “Big Hole, Bigger Treasure,” which describes the hole as 10 feet wide, 7 feet deep, and “seemingly bottomless at first glance,” a detail that directly contradicts a photo in the memoir’s picture section that clearly shows the hole as less than a foot wide and no deeper than 3 inches. Eric continued to defiantly maintain the story’s authenticity until the final nail in the coffin, a Washington Post exposé published on Monday pointing out that a grocery receipt for six lemons could be seen hanging out of Eric’s shirt pocket in the book sleeve’s author photo. I’m extremely sorry to say that I have not been completely honest with my audience. Despite insisting otherwise, I’m here to admit that I put the lemons in the hole. I also dug the hole myself. It was a selfish, misguided attempt to inspire people. I deeply regret having misled all those who read my story and then began searching for a lemon-filled hole themselves. I have given these people only false hope. The book’s publisher, Simon & Schuster, initially stood by Leyden but have quickly bowed to the public outcry. As well as issuing an apology, the publisher pulled all copies of the book from shelves and canceled Eric’s second book deal, a follow-up memoir entitled Return To Six-Lemon Hole. Unbelievable. You can only keep up a lie about a lemon discovery for so long before it comes back to haunt you. For Eric, that time has come, and his credibility is rightfully in tatters. Unless he plans to continue writing fictional tales, this fall from grace guarantees that no one will trust a word he pens ever again.